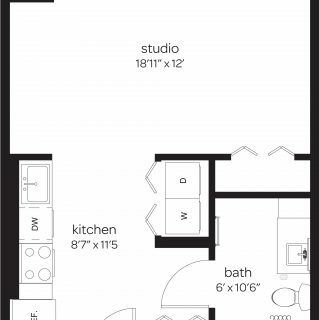 Whether you are looking to rent a brand new studio, 1-bedroom, or 2-bedroom floor plan, each of our Wilmington, DE apartments at The Residences at Mid-town Park include your favorite upgraded amenities for everyone to enjoy! 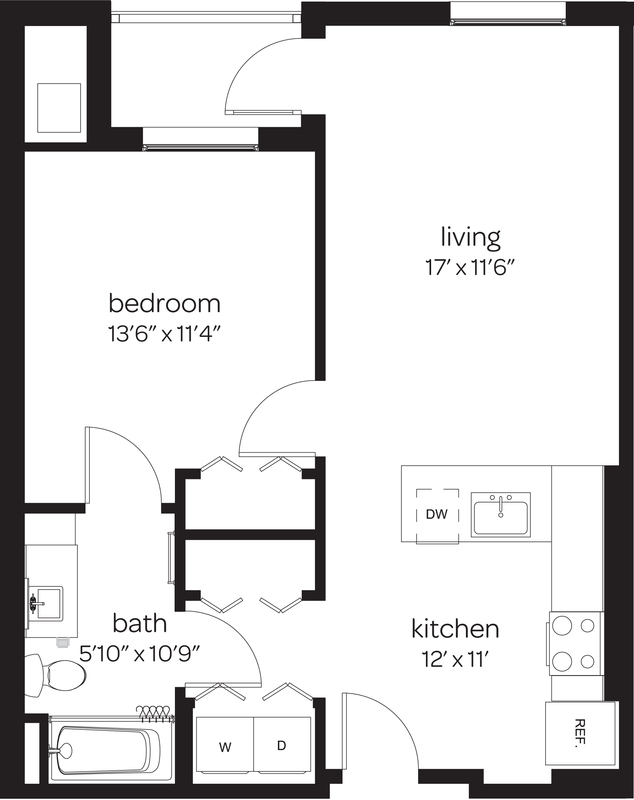 Each unit includes a full-size washer and dryer as well as a large amount of closet space for your convenience. Wake up each morning to the stunning downtown views from your oversized apartment windows and cook all of your favorite meals using stainless steel appliances in our Wilmington, DE rentals. 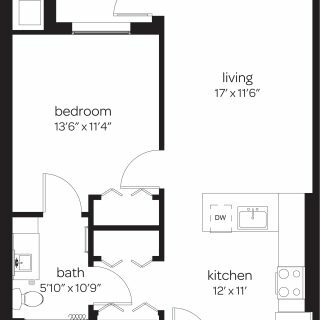 Our kitchens are all upgraded to have spacious quartz countertops, which are great for entertaining your friends and family. 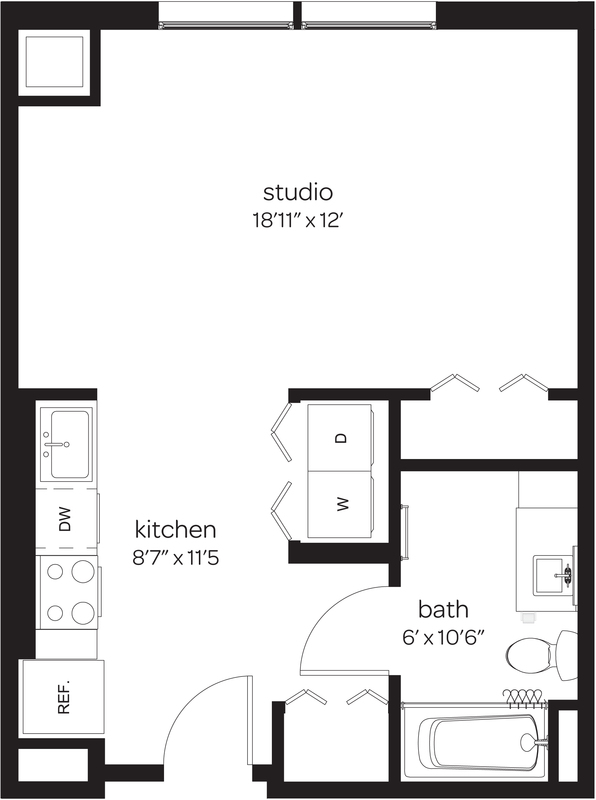 Check out our spacious studio, 1-bedroom, and 2-bedroom floor plans below and envision your dream apartment! 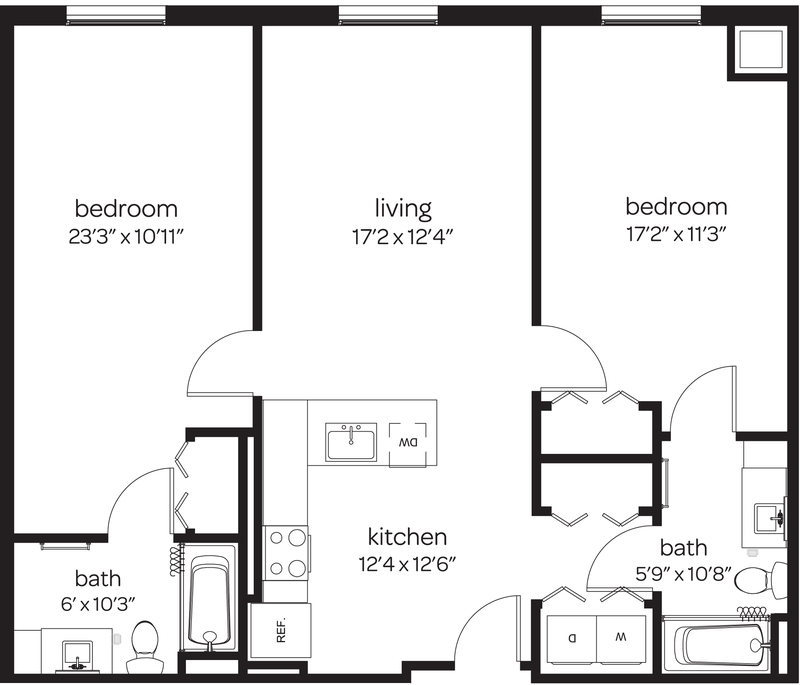 You can click through to see our current availability for each of our floor plans. 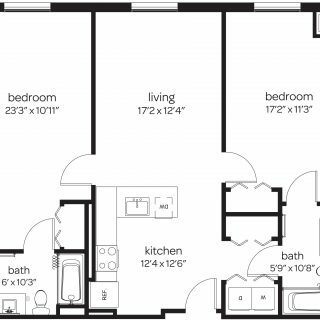 After finding the perfect size apartment for your needs or if you have any additional questions, contact us to schedule a personal tour and see more of what we have to offer here at The Residences at Mid-town Park.